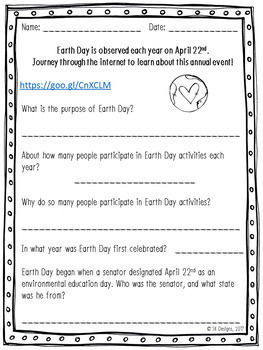 This web quest guides students in discovering information about Earth Day and our planet. Throughout the quest, students will visit four different websites to read, research, and share the information they learn. The product contains a thirteen page web quest along with an accompanying answer key. Quest tasks include exploration, research, literal comprehension, identification, description, inference, application, connection, reflection, and illustration. 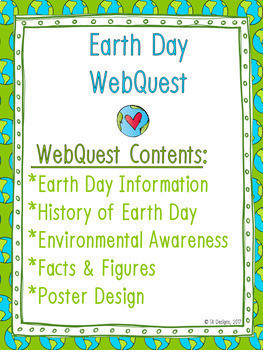 The Earth Day WebQuest is an excellent way to build students‘ comprehension, research, and technology skills in an engaging activity. It can be used individually, in partners, in small groups, as homework, or as a whole class activity. 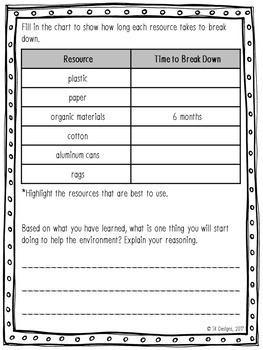 In addition, the activity is designed so teachers can use the whole quest or select individual sections. The poster activity at the end of the web quest can also be used for a bulletin board display. 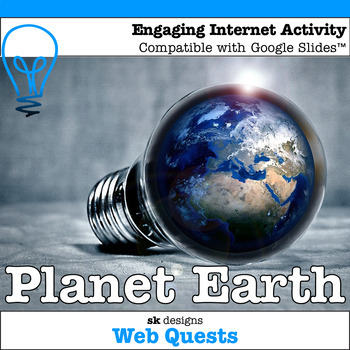 Your purchase of this product includes access to a Google Slides version of the web quest that you can share with students. The web quest can also be added to Google Classroom. The Google version of this product allows students to type their answers for each question directly into the web quest. Thank you for downloading this product and leaving your feedback!